India is a land of many festivals. All over this sub-continent there are different kinds of festivals. These festivals reflect the diversity of culture that this Asian country has. Himachal Pradesh is a state of India and it has many mountains. This place experiences low temperature during the winter months. Shimla Weather becomes a bit comfortable during summer. 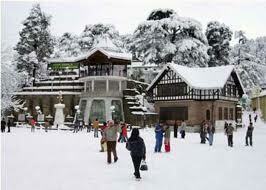 However Shimla is a tourist hot spot that has many festivals. Festivals and Events in Shimla include Ice-Skating Carnival in Shimla, which is a great treat for the lovers of this sports. Even if you are not an active participant in the sport you would feel the thrill by just watching Ice-Skating Carnival in Shimla. The club has already celebrated its Diamond jubilee and is thronged by tourists every year. The carnival is fun and lively and the various colors against the white backdrop of the snow make Shimla look like a wonderland. The ice skating sessions usually take place twice in a day, in the morning and evening. He sessions are usually uninterrupted since the skies are usually clear and temperatures are pretty low to keep the ice intact. You can come and participate in the Ice-Skating Carnival in Shimla or can just watch the sport. You can bring your own skating equipments. However there are clubs that lends these equipments. Just become a member of the club and enjoy the fun of skating. The whole ambience combined with the excitement of the sport would make you feel a rush of adrenaline down your veins.